"The Next Best Place to Home!" Diarrhea in boarding pets is not uncommon and occurs for a variety of reasons. Diarrhea is often frequently observed in pets shortly after returning home, often for the same reasons. By definition, diarrhea is an increase in the frequency and volume of stool, usually marked by soft, unformed or watery patterns of defecation. Diarrhea can be either acute (happening quickly) or chronic (an ongoing problem of two weeks or more). Each type may have its own different causes. In the boarding or daycare situation, several causes may be contributing factors to an acute case of diarrhea. Stress from being away from home can cause bowel upsets. So does a change in diet (both in brand and format). Each brand of pet food has its own unique formula and varies from other brands. Canned food is often not tolerated as well by the digestive tract as dry food unless a pet is used to it prior to boarding or entering daycare. Some foods contain excessive dyes and additives; some are just made to be more digestible than others. A dog or cat may be harboring intestinal parasites, which may not cause a problem at home but can when patterns are interrupted and the pet is under stress. Other diseases, such as pancreatitis or diabetes, may have similar effects. Acute cases of diarrhea may be attributed to an incident that occurred shortly before the pet arrived at the facility: eating garbage, eating a foreign object (bones, a piece of a toy, a sock) or a disease such as Parvo or Corona virus. If your pet has diarrhea at home on a seemingly regular basis, this chronic diarrhea may worsen in the boarding or daycare situation. Again, stress may play a role in causing more frequent diarrhea with a root cause of inflammatory bowel disease, pancreatic insufficiency, colitis or parasites. It is not uncommon to have blood in the stool along with diarrhea, particularly if the pet is straining often to pass stool. It is a sign of irritation. Mucus may also be produced. Its role is to protect the intestinal tract from irritants; worms often produce a mucous-covered stool. Your pet care facility operator will often attempt to control and treat minor diarrhea cases in the facility. Often products such as Pepto Bismol, Immodium AD or Kaopectate are all that are needed. Adding fiber or starch to the diet sometimes helps absorb the excess liquid in the digestive tract; bland diets also provide nutrients without excess salt, fat or food additives. If your pet has a delicate digestive tract at home, discuss bringing his or her regular food to the kennel. If your pet has uncontrollable diarrhea, is passing dark tar-like stools (indicating blood higher up in the digestive tract) or if the diarrhea is accompanied by other signs of vomiting, lethargy, fever or abdominal pain, your facility operator will opt to take your pet to a veterinarian for an exam. This is for the pet’s health and wellbeing and rules out a serious problem that could be life-threatening. If your pet is having any problems at home, please make the facility aware prior to your departure. If your pet takes any medication on a regular basis for intestinal upsets or chronic diarrhea or needs a nutritional supplement for a disease, be sure to leave it at the pet care facility when your pet is dropped off. Dogs or cats may be so excited to see their owner at the end of an extended stay that diarrhea is produced shortly after returning home, or even in the parking lot of the facility. Check with the facility operator to see if any diarrhea was observed while boarding or at daycare but treat the pet at home with small meals of bland food (rice and boiled chicken is fine) and anti-diarrhea medication. You should always consult your veterinary office if your pet develops diarrhea and for information on which over-the-counter medication is best for your pet. Some veterinarians will even suggest withholding food and water for 12 to 24 hours, giving the intestines a chance to rest. If diarrhea persists, schedule your pet for a veterinary exam and provide the office with a feces sample to test for parasites. This article is provided as a general overview of the topic. Always consult your veterinarian for specific information related to diseases or medical care for pets.  A first-class kennel and pet boarding facility located in DeWitt, Michigan, serving the following areas: Wacousta, DeWitt, St. Johns, Lansing, Meridian, Okemos, Haslett, East Lansing, Williamston, Holt, Mason, Dimondale, Potterville, Eaton Rapids, Grand Ledge, Waverly, Delta, Eagle Laingsburg, Charlotte, Perry, Owosso, Leslie, and Ingham, Eaton,and Clinton Counties, Michigan. Copyright 2011 Samarkand Kennels. All rights reserved.